Tatum offers excellent pool and spa water filtration products. Tatum offers excellent pool and spa water filtration products. Filters compatible to this brand, along with many others, are available through the Filters Fast website. 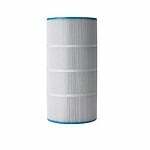 FiltersFast FF-0381 Replacement For Tatum MFG 6" X 8 1/4"